The good news for people with leaky mitral valves is that the Food and Drug Administration recently approved a device called MitraClip as an effective remedy that does not require open-heart surgery. The better news for Connecticut residents is that some of the ground-breaking research that prompted the FDA decision in early March was done at the Hartford Healthcare Heart & Vascular Institute, giving patients better access to the physicians most experienced with the technique. Led locally by site Principal Investigator Dr. Raymond McKay, who is also co-director of the Structural Heart Disease Program, Hartford Hospital participated in the national COAPT trial that compared percutaneous mitral valve repair with MitraClip to medical therapy in high-risk patients who cannot have conventional, open-heart surgery to repair or replace the faulty valve. 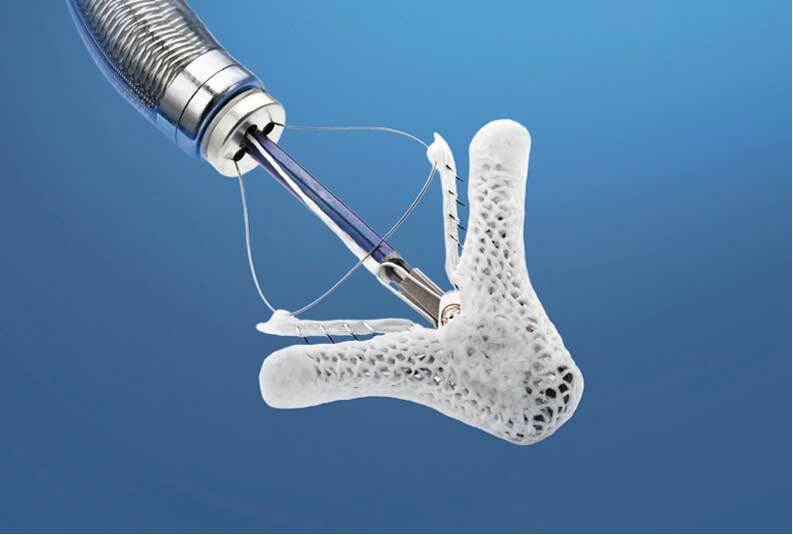 “MitraClip was originally approved by the FDA in 2013 only for use in mitral regurgitation patients having structural abnormalities of their mitral valve,” Dr. McKay said, noting that Hartford Hospital physicians have since performed more than 60 MitraClip procedures in patients with intractable congestive heart failure. In 2018, the hospital was named an investigative site for the landmark COAPT trial, the results of which were simultaneously published in the Journal of the American College of Cardiology and presented at the American College of Cardiology’s Annual Scientific Session in March 2019. A previous presentation of research results prompted the FDA’s approval of MitraClip for high-risk functional mitral regurgitation patients the same month. In the approximately 2 million Americans with heart failure, most over age 75, the mitral valve often cannot function properly because swelling of the left chamber of the heart prevents the valve from closing properly. This allows blood to backflow through the heart, decreasing the patient’s quality of life while increasing risk of hospitalizations and rate of death. The condition can also cause irregular heartbeats that can lead to stroke and heart failure. “These are patients who typically find no improvement with other available treatments, yet by implanting MitraClip we are able to improve their daily lives and lower their chance of hospitalization due to the valve defect,” McKay said. Interventional cardiologists implant the MitraClip through a small incision in a leg artery, avoiding the need for open-heart surgery. The device holds some of the mitral valve sections together to reduce the backflow of blood and allowing the heart to pump more efficiently. COAPT was able to indicate, too, that MitraClip leads to significant improvements in patient quality of life, results that are sustained over the long term, he said. For more information on MitraClip at the Hartford HealthCare Heart & Vascular Institute, click here.